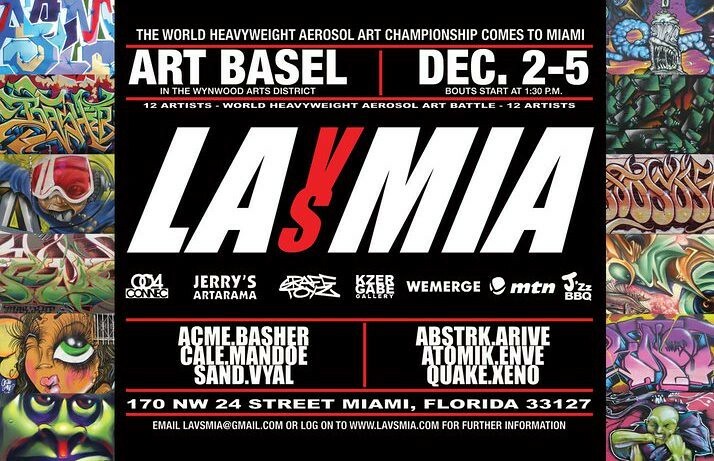 Art Basel Miami Beach takes place December 2 – 5, 2010. Art Basel Miami Beach combines an international selection of top galleries with an exciting program of special exhibitions, parties and crossover events featuring music, film, architecture and design. Exhibition sites are located in the city’s beautiful Art Deco District, within walking distance of the beach and many hotels. An exclusive selection of more than 250 leading art galleries from North America, Latin America, Europe, Asia and Africa will exhibit 20th and 21st century artworks by over 2,000 artists. The exhibiting galleries are among the world’s most respected art dealers, offering exceptional pieces by both renowned artists and cutting-edge newcomers. Special exhibition sections feature young galleries, performance art, public art projects and video art. The show will be a vital source for art lovers, allowing them to both discover new developments in contemporary art and experience rare museum-calibre artworks. for the international art world. We look forward to welcoming you at Art Basel Miami Beach 2010. Art Exhibition – curated by Roger Gastman and Zio Fulcher of R. Rock Enterprises, this group exhibition is the cornerstone of Small Gift Miami. Fifty internationally-recognized artists were selected to create original works of art in their signature medium, showcasing their favorite Sanrio characters. Shepard Fairey, Niagara, Jason Alper, Adam Wallacavage, Mark Mothersbaugh, Richard Colman, Mike Shinoda and Seonna Hong are just a few of the artists whose work will be on display, in addition to a selection of limited-edition prints. 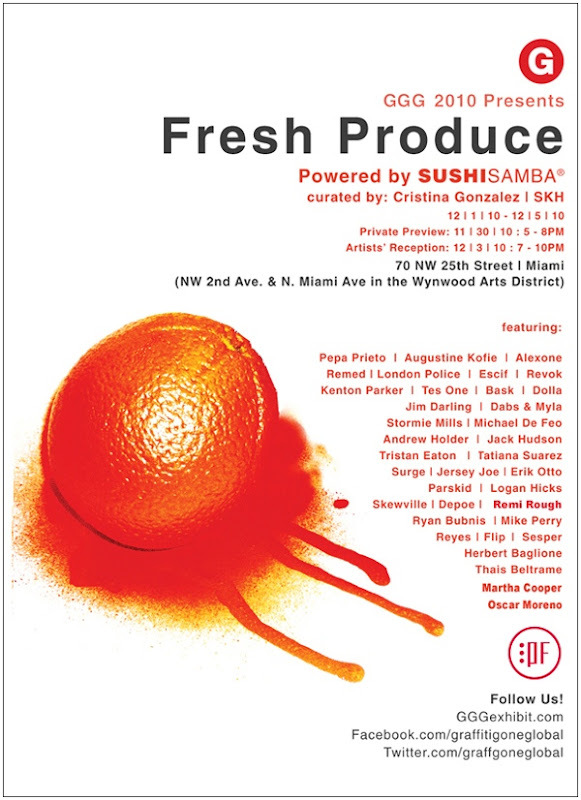 All artwork will be for sale; with a portion of the proceeds going to Hands On Miami. Hands On Miami is a non-profit, volunteer based organization that brings hands-on community support to individuals & families throughout Miami-Dade County. Wall Murals – Small Gift Miami will showcase three stunning 35-foot wall installations created by artists CRASH, POSE and Anthony Lister. Also on view will be a 35-foot visual timeline of the history of Sanrio. Live Tattoos – a tattoo shop will be set up at the event featuring artists Charlie Roberts and Grant Cobb from iconic L.A. tattoo studio, Spotlight Tattoos. Charlie and Grant have developed over 50 custom tattoos featuring Sanrio icons Hello Kitty®, Badtz- Maru®, My Melody®, Kuromi®, Tuxedo Sam™ and many others. Guests can select their art & receive a FREE sitting with these artists! Mike Shinoda is also one of the artists contributing to Small Gift. He posted a (unfinished) detail of his work on his blog mikeshinoda.com. California artist Marquis Lewis, also known as RETNA, will be showcasing a fine art solo exhibition in the opening of Primary Projects, a 4,500-square-foot art space at the Atrium Building in Miami’s Design District. On Dec. 2, Lewis will open Primary Projects with his newest series “Silver Lining,” a paint collection based on a graffiti-style font he developed from the Latin alphabet. In the past, the 31-year-old artist has contributed to Miami’s street art scene with murals such as: a 30-foot-tall man throwing his hands to the sky on the western wall of the Margulies Collection at the Warehouse, which can be seen from Interstate 95 in Wynwood; a young Latin boy kneeling to the ground, off 24th St. west of North Miami Avenue; and a blue angel at the corner of 37th Street and North Miami Avenue. RETNA has been one of more than 100 artists around the globe who have worked with Primary Flight, a Miami arts company that owns Primary Projects. Primary Flight was launched in 2007 as an “open-air museum” in the Design District dedicated to street-level mural installations in South Florida. Now, Primary Projects will provide an indoor alternative for artists, such as Lewis, to show their work. Books IIII Bischof, Primary Flight’s founder, said the group does not intend to bring graffiti art indoors but to use the space to exhibit other forms of contemporary art, such as photography, paintings, mixed-media art, sculpture and video. He said the space’s main objective is to give contemporary artists that galleries don’t usually exhibit the opportunity to be exposed and grow professionally. Local artist and curator for Primary Flight, Ellis Grahm, best known as Typoe, said that Primary Flight also hopes to promote a different image of Miami — from its stereotypical perception of partying and superficiality to a place where artists can come to pursue a career. Real estate broker and developer, David Lombardi, 44, whose office building has a Primary Flight mural, thinks that the art created on these walls bolster neighborhoods’ value and attract people to visit Miami. Lombardi hopes to attend Primary Projects’ opening and said he will buy a painting from RETNA, whose work he admires. “I think that when you have guys like Books and Typoe bringing in world class artists to do beautiful murals on these buildings, it brings a lot of great attention and positive publicity to the neighborhood,” Lombardi said. EDIT: You can find really great pictures of Art Basel (including pieces by Murakami and Warhol) HERE!